Greenville, S.C., November 7th, 2017 –eRAD announced today that Canada Diagnostic Centres (CDC), a 17-site imaging provider in Alberta, Canada, will implement an array of eRAD software solutions, including eRAD RIS, Speech Recognition, Mammography Tracking, Patient and Physician Portals, and RADAR Nudge for secure communication. eRAD is a subsidiary of RadNet, Inc., a leading provider of standards-based, web-centric radiology image and data management solutions. CDC is a long-standing provider of patient care in Western Canada and delivers sophisticated, multi-modality services to the community. After its previous RIS vendor sunsetted its product, CDC began a search for a solution that would take the practice into the future. 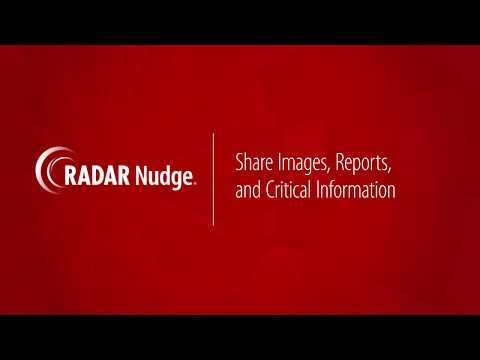 In addition to selecting eRAD RIS, CDC will also implement RADAR Nudge—eRAD’s platform for HIPAA-compliant Instant Messaging—and other eRAD modules, including Speech Recognition, Mammography Tracking, and Patient and Physician Portals. Automated appointment reminders and patient self-scheduling are included in the solution, bringing greater service to CDC patients. “We recognized that we needed to make a major decision to ensure that the next RIS system we selected would provide both the features we need now and the best long-term potential for stability and success,” said Welter.